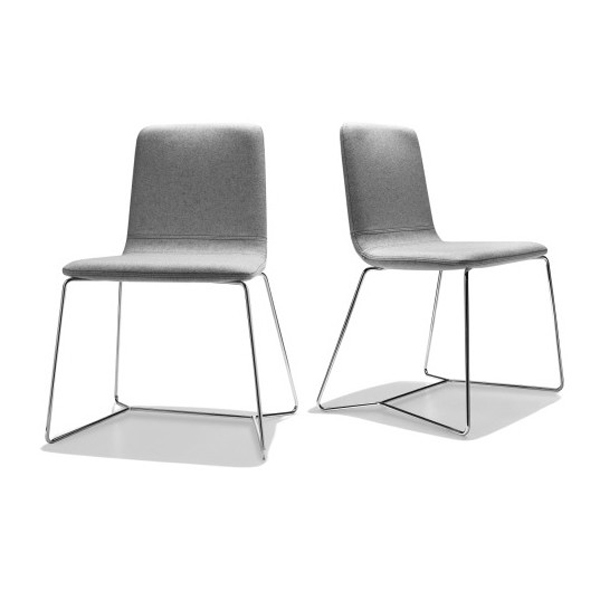 Dining chair forming part of the Mamy family. 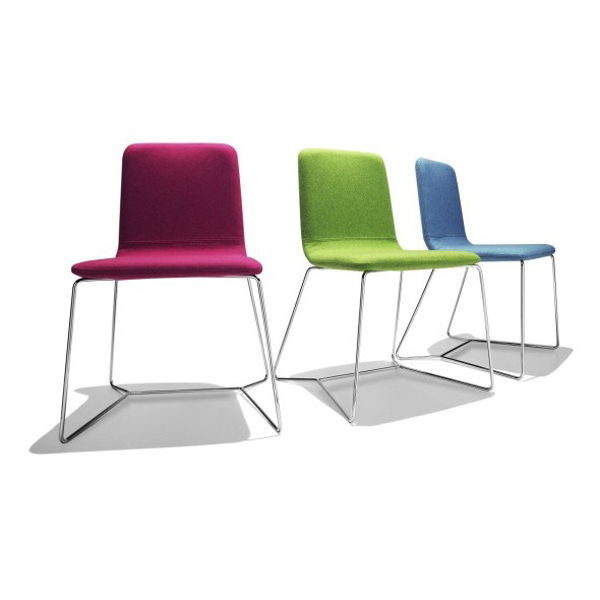 The stylish seat is welcoming and comfortable, padded with fire retardant polyurethane foam and upholstered in a choice of fabric and leather options (see corresponding samples below for full range of colors). Chromed steel tube base.